Home Columns	Who is afraid of Civil Society? In recent weeks, Nigerians have witnessed a potential setback to our nation’s democracy through the on-going unguarded activities by some members of the House of Representatives who dedicate precious legislative time and resources in pushing for passage, a Sierra Leone-originated, but widely condemned and rejected legislative framework popularly known as a “Bill to regulate NGOs, CSOs”. The bill which within few months of its initiation in the House passed for second reading in theory, aims at setting up a commission to regulate their activities and provide a platform for robust relationships between them and the government for the interest of Nigerians. It expropriates the powers of the corporate affairs commission (CAC), which will no longer be able to issue certificates to Non-Governmental Organisations (NGOs). Certificate Issuance will be handled by a 17 man committee selected by the president subject to approval by the Senate president. Under the proposed provisions of the bill, NGOs will have to re-register after 24 months, you will pay re-registration fees and the committee handpicked by the president and decide whether to re-approve or deny the certificate. It is worrisome that the clueless imported bill from Sierra Leone shamelessly found its way to our highly respected Lower Legislative Chamber without appropriate scrutiny and in-depth socio-political analysis if Nigeria as a democratic nation needs such totally authoritarian and despotic legislation at this point when the citizens should begin to feel the impact of legislative representation, especially at national level, but are insensitively deprived appropriate representation by the trust ones who endlessly backstab them. Not only are citizens deprived appropriate representation, taxes derived from their hard-earned incomes translated into legislative time and resources are injudiciously utilised in pursuing personal agenda in guise of a baseless legislation. More unfortunately, the Bill has since arrival to the House been receiving needless legislative attention, time and resources. A development of this nature puts to question whether our legislative activities are guided by selfish personal agenda or constituents’ needs and priorities. With the volume of well-informed civil society, media and citizens in the country, the on-going effort by the legislators to frustrate accountability mechanism would without doubt result in more aggressive demand for accountability and interpretation of quality of representation and performance by civil society groups that may henceforth trigger citizens’ perception and understanding of who deserves their votes. The cabal pushing for passage of the mischievous bill must be made to realise that true democracy which was drastically pursued by the civil society groups has come to stay and the groups will never relent in their efforts in demanding accountability under the same democracy. It is no more news that Nigerians have suffered from various anti-citizens bills sponsored by undemocratic cabal in the legislature primarily to sabotage accountability mechanism and continuously ensure citizens are dispossessed their constitutional rights to enjoy democratic dividend. Such ill-fated bills include the ‘Social Media Bill’ that was subsequently dropped for its irrelevant to the nation’s progress and citizens’ development. Even when other pro-poor and important legislative pieces like Petroleum Industry and Governance Bill (PIGB), Gender and Equal Opportunity Bill are less prioritised or unattended to. To mention little from several pro-poor bills lying dormant for years in the Assembly. In recent statement, the sponsor, Deputy Majority Leader of the House, Hon. Buba Jibril was quoted and attributed to Kim Jong-un-like dictatorial statement saying: “Not even United Nations can stop the bill from passage”. Such condemnably hilarious attitude giving no regard to global authority is a true reflection of undemocratic attitude and disrespect for democratic core values hence, undiplomatically misplaced priority in the discharge of legislative mandate. 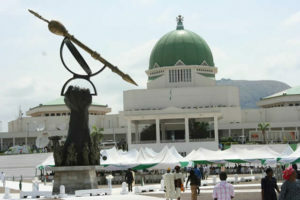 Not conscious of the fact that the bill constitutes a deliberate violation of the guarantees of freedom of thought, opinion and expression, and freedom of association, as contain in 1999 Constitution of the Federal Republic of Nigeria (as amended) and various international conventions to which Nigeria is a signatory, Jubril made a public threat to infringe on citizens’ rights. If no personal motive attached to the bill, the House should have summoned courage to publish the names of culprits and discharge the Economic and Financial Crimes Commission (EFCC) to do its work. The argument that some NGOs used their funds to fund terrorism is merely nothing but an illusion; as if confirmed to be true, what then is the work of Nigerian Financial Intelligence Unit (NFIU)? Meanwhile, as citizens suffer from years of socio-economic upheavals and continuous neglect despite huge constituency allowance allocated to each legislator to complement the work of the executives in addressing such, civil society groups, media and Non-Governmental Organisations (NGOs) are famous in alleviating citizens’ suffering and giving voice to the voiceless in the country. More importantly, the rigorous processes Nigeria’s Civil Society Organisations are subjected during registration and filling of returns is evident and well documented with various authorities like Corporate Affairs Commission (CAC) National Planning Commission, Economic and Financial Crime Commission (EFCC), Nigerian Financial Intelligence Unit (NFIU), Federal Inland Revenue Service (FIRS). Finally, while the legislators have the mandate towards citizens’ representation, civil society groups have the responsibility not only to foster legislative-constituent relations but also to ensure connectivity between legislative activities and constituents’ representation. Civil society role should rather be respected and appreciated for democratic values to thrive.